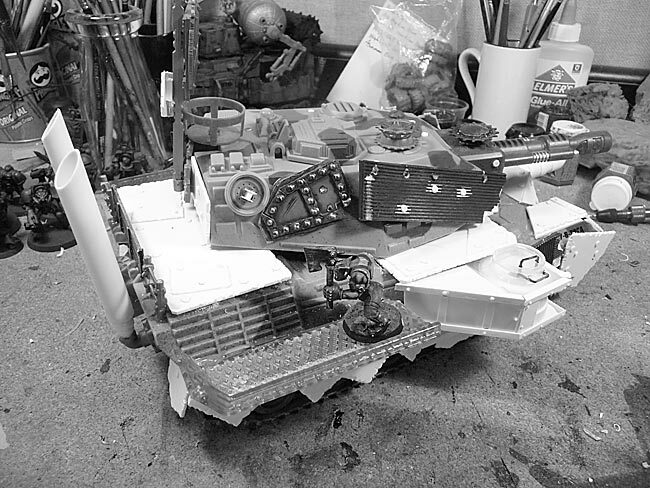 OK – second skullhamma tank build finished. Grayscaled for the same reason as before. 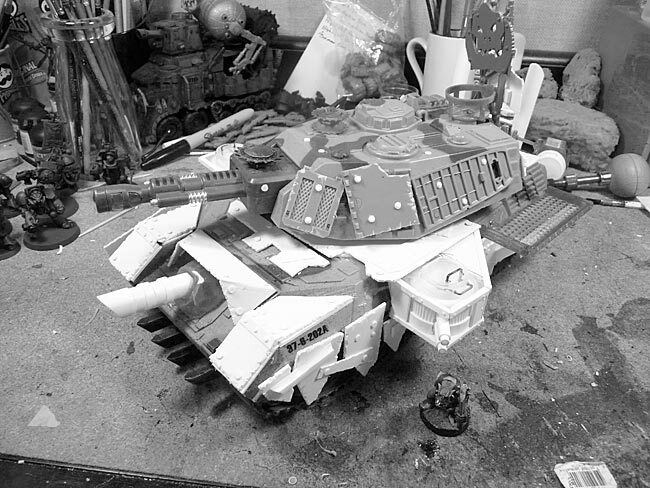 I’m priming this one right now and taking a long time since the humidity outside is so high at the moment. Spray, bring it in, let is dry, go back out and spray again, come back in and let it dry. Evaluate…on and on. I’m actually hoping to get at least the base coat of Mechrite red sprayed down tonight – we’ll see how it goes with the primer curing well enough to mask.